The Army Cadet Force’s (ACF) Llandaff North Detachment has officially affiliated with 203 (Welsh) Field Hospital, Royal Army Medical Corps. A ceremony was held on Saturday 10th November to formalise the association – the first of its kind in Wales – at the Army Reserve Centre in Gabalfa, Cardiff. 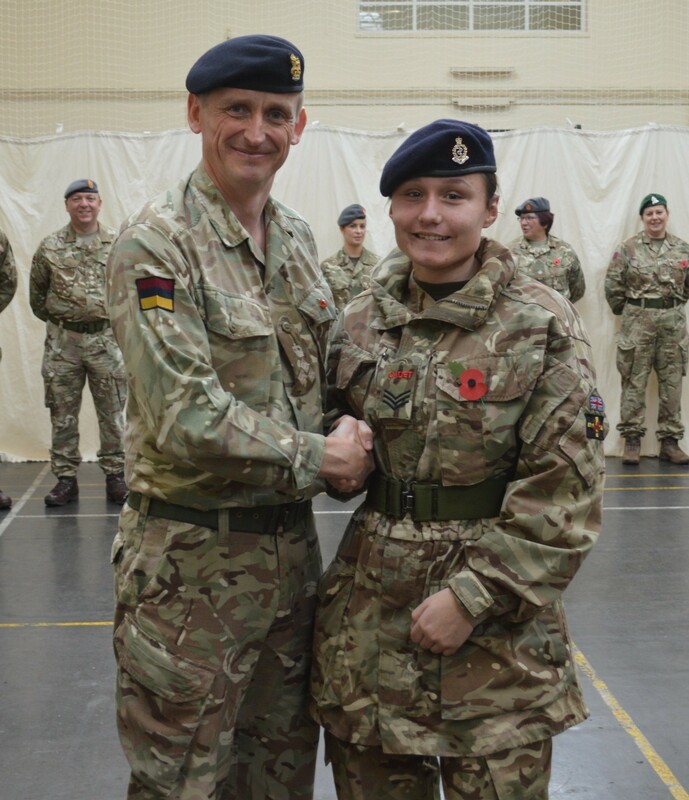 Brigadier Toby Rowland, Commander of 2nd Medical Brigade, presented each cadet with their new cap-badged beret and congratulated Cadet Sergeant Cerys Whitfield on her recent promotion. The linkup will improve access to training for young people and Cadet Force Adult Volunteers (CFAV) - this includes First Aid, which is a key section of the cadet syllabus. The cadets also received an interactive lesson about the history of the Royal Army Medical Corps. On the eve of the centenary of the First World War’s end, the workshop covered the lifesaving techniques developed in the conflict and the heroic battlefield roles of medics. Llandaff North Detachment are part of A Company, Dyfed and Glamorgan ACF. It was a busy weekend for the company, who also took part in the National Service of Remembrance for Wales at Alexandra Gardens in Wales.